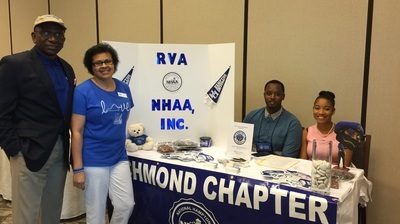 Volunteering with NHAA, Inc. - Richmond chapter is about giving back to an institution that gave so much to us. Volunteers have an enormous impact on the success of our organization. Whether it's working on a formal committee or volunteering to help out with an event, the Richmond Chapter provides many opportunities to serve. Below are the chapter's standing committees. Program Committee - Plans monthly programs and activities along with special activities for the chapter. Membership Committee - Is responsible for promoting and encouraging Richmond area graduates to become active members of the Chapter. Fundraising Committee - Works in tandem with the Program Committee to plan fundraising activities for the chapter. Scholarship Committee - Establishes scholarship criteria. 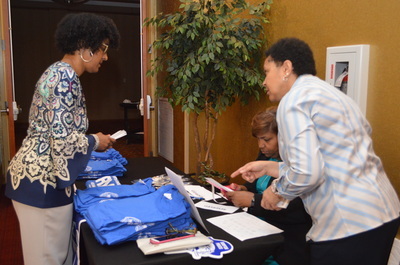 Ensures the Samuel T. Burleigh Scholarship Application is updated and disseminated to local high schools and individuals planning to attend Hampton University. The committee reviews all scholarship applications received and selects scholarship recipients, based on criteria. Student Recruitment Committee - Actively recruits talented students and fosters interest in Hampton University. The committee shall also plan an annual recruitment event sponsored by the chapter and the Hampton University Office of Admissions. Publicity and Newsletter Committee - Creates an awareness and interest of the Chapter and Hampton University through public and private media. Courtesy and Goodwill Committee - Will recognize and remember members for special occasions/milestones. 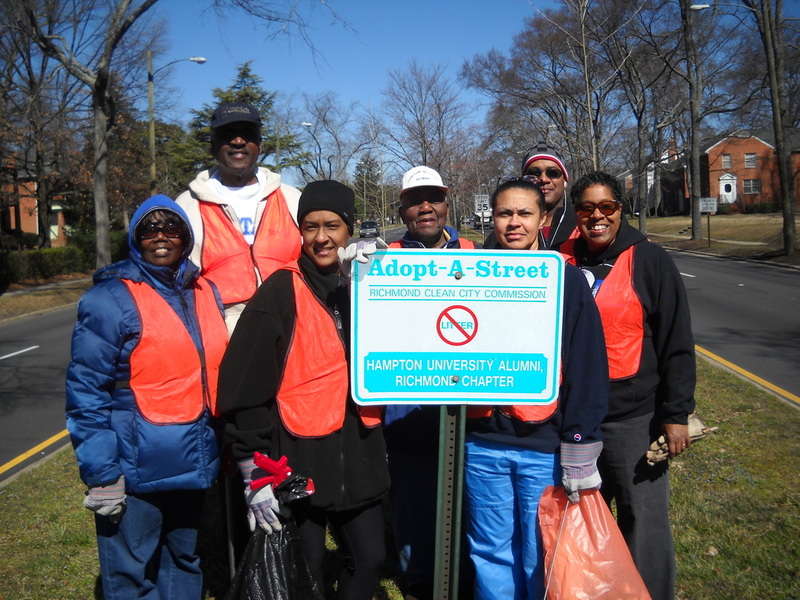 Adopt A Spot - Quarterly the chapter will roll up our sleeves and help keep RVA beautiful! We clean the stretch of Chamberlayne Ave beginning at Ginter Park Elementary and heading north towards Azalea Ave. Interested in volunteering for one of our committees or events? Please complete the Volunteer Interest Form below.